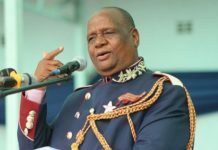 Exiled and fallen Ethiopian dictator , Mengistu Haile Mariam, who is thought to have had an invisible hand in last November’s Operation Restore Legacy, which was launched by the military to oust former leader, Robert Mugabe, has allegedly been promoted as Vice President Rtd General Constantino Chiwenga’s special advisor, Spotlight Zimbabwe has reported. It has also reported that, the military intervention, which is the brainchild of Chiwenga was in fact reportedly first thought out by Mengistu, who is an unofficial member of the country’s powerful Joint Operations Command (JOC) and a hired Zimbabwe Defence Forces (ZDF) consultant. JOC is a shadowy quasi military organ, bringing together the country’s military-security complex which includes the army, and its military intelligence wing and Presidential Guard, Air Force, Police, Prisons and the Central Intelligence Organisation (CIO) to manage homeland security affairs. Mengistu fled to Zimbabwe in 1991 following his ouster by rebel forces in a country he ruled with an iron grip for 17 years after the 1974 assassination of Emperor Haile Sellassie. Mugabe immediately granted him asylum together with his family, and they now all have Zimbabwean citizenship. According to a former minister in Mugabe’s yesteryear cabinet who held a security portfolio, the Ethiopian autocrat is being rewarded for his genius in giving Chiwenga helping advise, for his crossover from the barracks into the presidium. “Mengistu is one of those silent but influential kingmakers in the so called new dispensation,” the former minister said by phone last week. The former cabinet minister also said it was Mengistu who had also suggested to Chiwenga not to completely “retire” from the ZDF, but to retain power and control of the military by running the ministry of defence, and taking care of the liberation war veterans to consolidate influence and position himself for ultimate takeover of the presidency when the time comes. Chiwenga indeed became vice president together with his counterpart, Kembo Mohadi, in December 2017 after Mnangagwa appointed them to become his deputies. Mengistu is also behind and instrumental in many past government war-like operations on civilians to quash possible popular uprising, such as Operation Murambatsvina, a brutal 2005 urban clean-up campaign blitz, that left nearly a million people without a roof above their heads. CIO operatives at the time leaked to the media revelations, that Mengistu who was then Mugabe’s security adviser warned the former president, that swelling slum and backyard population in Zimbabwe was creating a fertile ground for mass revolts. In light of the collapsing economic situation and a discontented population growing in numbers, Mengistu reportedly told Mugabe that the only way to pre-empt any mass protests and uprising was by depopulating the country’s cities via an scorched-earth slum-clearance exercise. At least 700 000 people became homeless and about 2,4 million citizens were affected by the swath of destruction left by the campaign, according to a report by then United Nations special envoy Anna Tibaijuka. Another military campaign, which has been linked with Mengistu’s input, is Operation Maguta, also launched around 2005 to resuscitate agriculture that had been ruined by Mugabe’s chaotic land reform programme. Maguta, was fronted as an initiative by JOC, driven by the old regime’s fear of food riots stemming from widespread hunger. 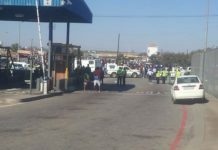 Chiwenga ordered then central bank governor, Gideon Gono, to make sure that there was enough food production to prevent riots, as he did not want to command his troops “to turn our guns on hungry Zimbabweans” protesting against food shortages. There have been calls by the opposition to have Mengistu extradited back to Ethiopia to face justice, after Mugabe was forced out of power last year, but Mnangagwa is not interested and is determined to keep him in the country for safety. 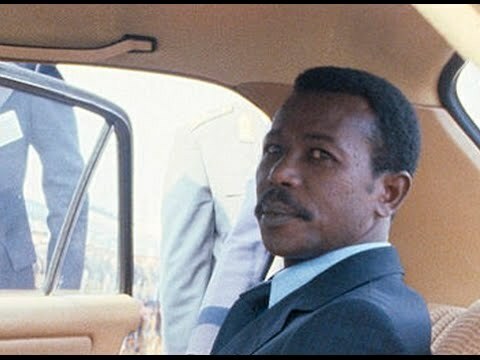 Mengistu who was given the nickname “the Butcher of Addis Ababa” was convicted of genocide in absentia in December 2006 and sentenced to life in prison. 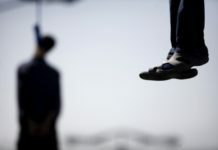 However, after an appeal, he was sentenced to death in absentia by the Ethiopian High Court, which overturned his life sentence.